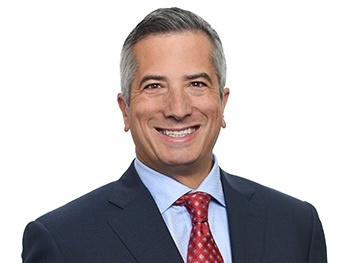 Randy Klein is a principal at Goldberg Kohn and chairs the firm’s Bankruptcy & Creditors’ Rights Group. He concentrates his practice in the area of the protection and enforcement of creditors’ rights. Mr. Klein is recognized as a leader in his field by his peer selection as a Fellow in the American College of Bankruptcy. He has been named by Chambers USA for nearly a decade as a leading lawyer in the United States in Bankruptcy/Restructuring. Mr. Klein has written extensively on creditors’ rights, including: “The Pre-Petition Right to Post-Petition Income Streams and the Misinterpretation of section 552," Co-author, American Bankruptcy Institute Journal, (December 2010); “Majority Rules: Non-Cash Bids and the Reorganization Sale,” Co-author, American Bankruptcy Law Journal (September 2010). The latter article resulted from Mr. Klein's novel structuring and implementation of the acquisition of Ames Taping & Tooling by a subset of junior secured lenders for non-cash consideration, including debt and equity securities issued by the acquisition entity. Mr. Klein also co-authored the First Report of the Commercial Finance Association to the ABI Commission to Study the Reform of Chapter II (November 15, 2012). "ABI Bankruptcy Reform: Will It Destroy Cash Flow Lending," Co-author, The Bankruptcy Strategist (April 2015). Mr. Klein is also a nationally recognized expert on the drafting and enforcement of intercreditor agreements and unitranche agreements. He participated extensively in the drafting of the LSTA Form of Agreement Among Lenders (2019). He is a frequent lecturer on the topic and has spoken on many occasions including: "DIP Financing: What's New; What's Not; And What's Coming" and "Creditors’ Committees: Why They Work; Why They Don't; Are They Obsolete?" (2016); "Unitranche and Bank Loans," The American College of Investment Counsel (2015); "An Analysis of the Final Report of the ABI Commission to Study the Reform of Chapter 11," The Loan Syndications and Trading Association (2014); "Discussion of the Bankruptcy Reform Commission’s Recommendations to Reform Chapter 11," Commercial Finance Association Annual Convention (2014); "Undersecured Creditor's Dilemma: Defining the Limits on Credit Bids and Lien Stripping," Fifth Annual American College of Bankruptcy Seventh Circuit Education Committee Seminar (2014); "Structure War - ABL vs. Cash Flow vs. Unitranche," CFA Asset Based Capital Conference (2014); "The New ABA Model Intercreditor Agreement," American Bar Association's Section of Business Law Commercial Finance Committee Teleconference (2010); "Dealing with Intercreditor Issues in Today's Loan Markets – The Role of the ABA Model Intercreditor Agreement," Commercial Finance Association's 65th Annual Convention (2009); "An Introduction to the Model Intercreditor Agreement,". He is one of the co-authors of the American Bar Association's model form: "Report of the Model First Lien/Second Lien Intercreditor Agreement Task Force," Contributor, Committee on Commercial Finance, ABA Section of Business Law (July 2010).